After weeks of preparation the Nutiva Online Retail Store is now live. It was originally slated to go live in mid-August, so in the computer world going live less that two weeks after the stated target date is excellent. The Nutiva Online Retail Store offers a 10% discount on orders over $150 and free shipping on orders over $25. Many more good things are on tap as Nutiva continues to grow! 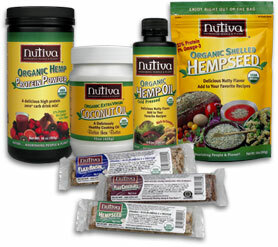 In keeping with The Hemp Report code of ethics, I am a Nutiva Sales Associate. Once again Dr. Bronner's has shown it's better to fight for what's right rather than to roll over and play dead. 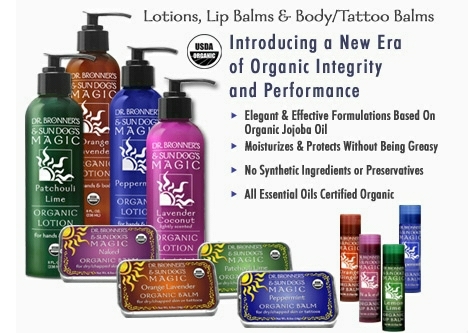 Here is the Washington Post's version of the Associated Press story 'Organic' Seal for Cosmetics Approved. All of the current Google News Hits can be seen here. Here are two of the original press releases on this story: Organic Consumers Association: USDA Yields in Battle Over Access of Personal Care to National Organic Program; Organic Non-Food Products Qualify, Says USDA and USDA Relents on Scope of National Organic Program. Congratulations to all who were involved in this action! 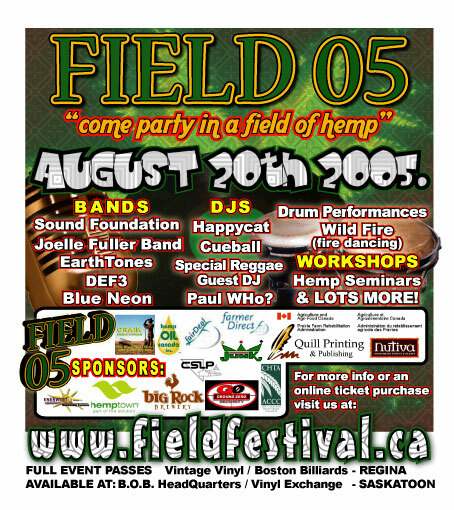 Field 05: "Come Party in a Field of Hemp"
Field 05, to be held in a lush field of industrial hemp this Saturday, August 20th, features 24 hours of workshops, displays of environmental technology, music, cultural performances and a huge hemp maze. A family friendly event, Field 05 has something for people from all parts of Saskatchewan. Field 05 starts at 11:00am on Saturday morning with the Industrial Hemp Field Day. On hand will be Rod Haugerud (the Mayor of Craik), Arthur Hanks (Canadian Hemp Trade Alliance), Jason Finnis (Hemptown Clothing) and Kevin Friesen (Agricultural Manager, Hemp Oil Canada) and John Roulac (CEO and Founder of Nutiva). At 3:00 pm the music starts. Field 05 is also a showcase of the best in contemporary Saskatchewan and Prairie music. Music will start in the early afternoon of August 20th and will continue until early Sunday morning. Sound Foundation (Nelson, BC - Reggae): Coming from the mountains of Nelson, BC, on the shores of Kootenay lake is the sweet sounds of Sound Foundation. Get ready to blaze a fire as this roots reggae experience lights up the stage. Sound Foundation brings the people together and will have them dancing for liberation. Neon Blue (Craik, SK - Country Two-Step): Neon Blue is a Craik-based band that always fills halls and Churches with their down home, make you want to dance, country two-stepping beats. Sasha Przytyk (Montreal, PQ - Reggae/Electronica): For 5 years our special guest mashed up Regina with his Jamaican-infused sound, playing at a variety of local venues before relocating to Montreal. This will be his comeback set in the Flatlands. A well needed and welcome return. His experience with all things hemp make him a perfect fit for Field 05. Earth Tones (Regina, SK - Folk/Country/Rock): Mother-Loving Earth-Tones (Live Band): The Prairie Folk Hoppers are a new addition to the Saskatchewan music scene. They have been performing at various events in Regina since April and wowing crowds with their unforgettable sound. Their philosophy: self-determination for my brothers and sisters! Paul Who (Saskatoon, SK - House/Electronica): Certified Audio Engineer, DJ and Producer all make Paul the perfect candidate for any situation demanding a talented electronic DJ. A heavy involvement in the electronic music community on two different continents in 12 different cities for nearly a decade, Paul loves performing. Expect an eclectic mix of house that will sooth the soul, move your feet and free your mind. Joelle Fuller Band (Regina, SK - Roots/Rock): Joelle and the entire crew know how to work the crowd with their roots vibe flavour. Their upbeat sound will captivate people. Happy Cat (Regina, SK - House/Electronica): For well over a decade, Happycat has been mixing wax, producing tracks, and having his sound heard all around. Happycat can often be caught weekly spinning live on the internet on Club 246 Radio on Sundays from 2pm until 4pm EST. His sets are always a blend of tightly knit sound that creates a sweet sound collage. DEF 3 (Regina, SK - Experimental/Conscious Hip Hop): The combination of Merky Waters (DJ/producer) and DEF 3 (MC/Prophet) bring to the people real HIP HOP. Matching up DEF 3's straight-to-the-head lyrical messages with Merky Waters' in-your- face beats have fused together to rock shows and make sweet sounding music. Their debut release 'Hug Life' on SHIP Records is a prime example of raw, down to earth, eclectic HIP HOP. Cueball (Regina, SK - Soul/Electronica): Cueball has always been attracted to the bright glow off a clean mirror ball. This attraction led him to the underground sounds of the soul influenced disco revival in the house music. His sets are both as clean as his hair cut, and as dirty as the 70's. A staple of the scene in Saskatchewan and the godfather of the house scene (IF only cause he is older than everyone else). Always a pleasure to hear, so don't miss him in our hemp field!